Lodge Brothers of Woking have again sponsored The Westfield Bowls Club for their 2018/2019 season, and to celebrate the end of this season, the local cricket club played the bowls club in a friendly match on Sunday 16th September. 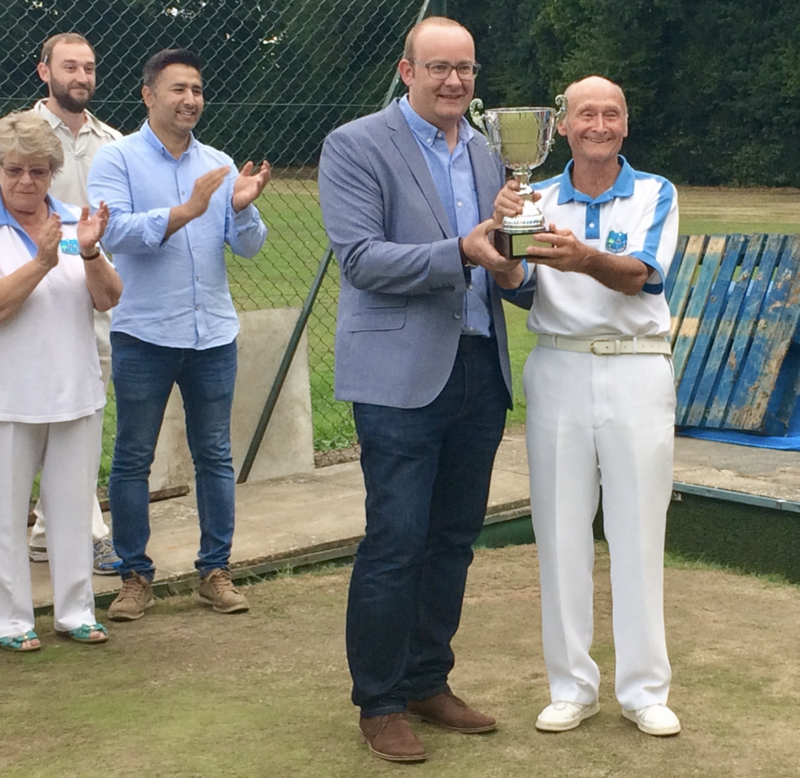 Lodge Brothers provided a trophy for this now annual event and called it the “Jack & Bails” Cup in appreciation of the cricket club and bowls club who have shared the land the clubs play on since the 1880’s. After several hours of competitive play the bowls club again came out victorious, and Paul Bye the Surrey Commercial & Operations Manager for Lodge Brothers presented the winners with the trophy. Lodge Brothers also provided a BBQ for the players and their families to enjoy afterwards.